By August 1914, the naval powers had produced cruisers in such numbers that they formed the largest class of warship with the exception of destroyers. The fewest but most powerful and expensive were battle cruisers: Great Britain operated nine battle cruisers, Germany five, and Japan two. The numbers of older armored, protected, and light cruisers built in the pre-dreadnought era was staggering. Britain led the world with 94, Germany and France had 36 each, the United States 34, Japan 19, Russia 18, Italy 13, and the Austro-Hungarian Empire had 11 vessels. In terms of modern cruiser construction of all types, Great Britain operated 30, Germany 20, Japan six, Italy four, the United States and Austria-Hungary three each, and Russia one. 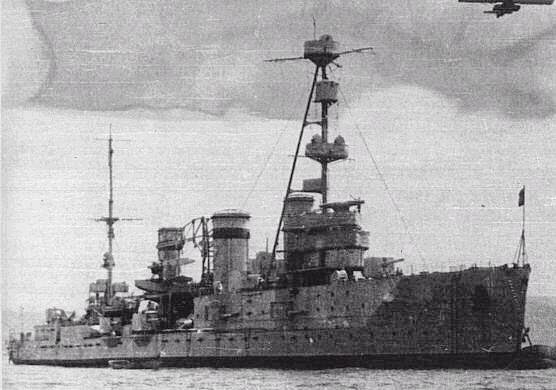 5 All told, the world’s navies operated 343 cruisers that would serve a vital role in World War I. First turbine-driven cruisers of the Russian fleet, projected taking into account experience of the Russian-Japanese war. They were built by two little differing series: Svetlana, Admiral Butakov, Admiral Spiridov and Admiral Greig for Baltic, Admiral Nahimov, Admiral Lazarev, Admiral Istomin and Admiral Kornilov for Black sea. All 8 ships were laid down prior to the beginning of the First World War, but any of them before revolution of 1917 was completed. 24/12/1920 the program has been accepted, according to which Svetlana and Admiral Nakhimov it was supposed to complete under original project. 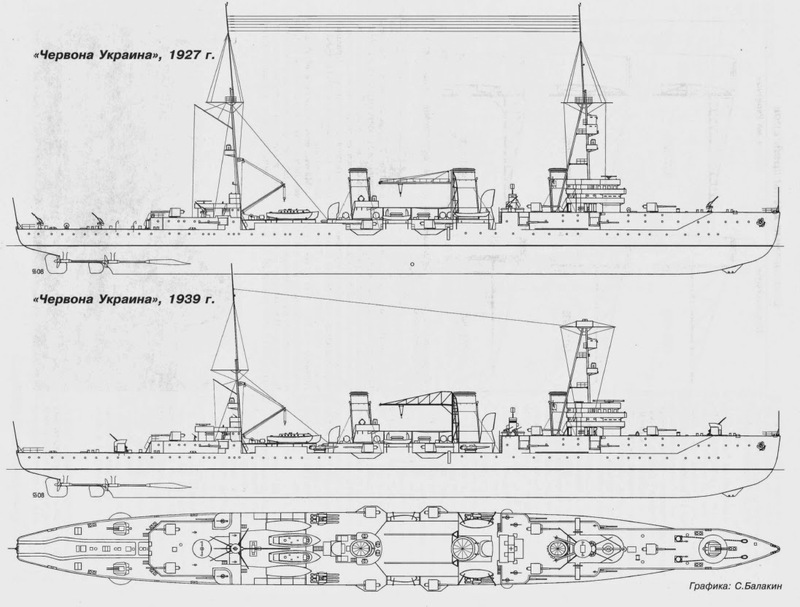 Black Sea cruisers, according to the project, differed by increased displacement (7600t against 6800), dimensions, and also type and structure of machinery (Parsons turbines and 14 Yarrow boilers instead of 4 Curtis-AEG-Vulkan and 13 Yarrow-Vulkan boilers), in remaining ships were practically identical. Rather low-freeboard hull with a forecastle and a three-funnel outline profile gave them a certain likeness with Novik class destroyers. On trials Profintern made 29.5kts at 6800t displacement and 59200hp power. Chervona Ukraina shown average speed of 29.82kts and maximum 30.9kts To the beginning of Great Patriotic war boilers were converted to pure oil-firing, but speed characteristics nevertheless have notably decreased: so, in 1941 speed did not exceed 27.5kts, and in 1944 Krasny Krym made no more than 22kts. Protection ensured unvulnerability from gunfire of destroyers. The main 75mm belt reached full ship length and adjoined an upper edge a lower deck. Above it the upper 25mm belt placed. Upper and lower decks had 20mm thickness. The protection of the same thickness covered funnel uptakes below deck level. Deck-casemates arrangement of artillery and insufficient to measures of the Second World War calibre were a serious lack of the project. The 6,800-ton cruiser Svetlana, ordered in 1912 for the Baltic Fleet, was completed and commissioned in 1928 as Profintern. Transferred to the Black Sea in 1930, she was renamed once again in 1939 to become Krasnyi Krym. She is seen here exchanging fire with German shore artillery off Odessa in 1941. She was the most successful of the Russian cruisers, taking part in numerous actions but never suffering serious battle damage. In 1944 she was armed with fifteen 130mm, three twin 100mm AA, four 45mm AA, ten 37mm AA, seven 12.7mm machine-guns and two triple 456mm torpedo tubes. She could also carry 90 mines. Worn turbines limited her speed to 22 knots.